It's reappointment time for the UC Master Gardener Program! Before the reappointment process begins we would like to say thank you. Our dedicated volunteers are the heart of the UC Master Gardener Program and we wouldn't be able to make such an incredible impact without you. Note: First-year UC Master Gardener volunteers are required to complete a minimum of 50 volunteer hours (no continuing education requirement) before the next certification cycle. The program year is July 1-June 30, 2019. Hours currently being reported during the reappointment period are from July 1, 2017-June 30, 2018. Please check with your county coordinator, director or advisor about fees and where and how to submit payment. That statewide office does not collect fees or payment directly from volunteers for reappointment. Gardening has always been a part of my life, I can remember working in the yard and vegetable garden with my grandmother and mother when I was a young child. Certain trees, flowers and vegetables still bring back great memories of different people and places I've lived or visited. In the course of my job as the statewide training coordinator for the UC Master Gardener Program I'm always interested to know how volunteers started gardening or what their favorite plant is. People's faces light up as they talk about what or who influenced them to take up gardening as a hobby, lifestyle or even as a career. Many of us have cherished plants we received as gifts or had passed down to us from fellow gardeners or family. The UC Master Gardener Program boasts over 6,000 volunteers who have spent 5.4 million hours working with and educating the public about home gardening. 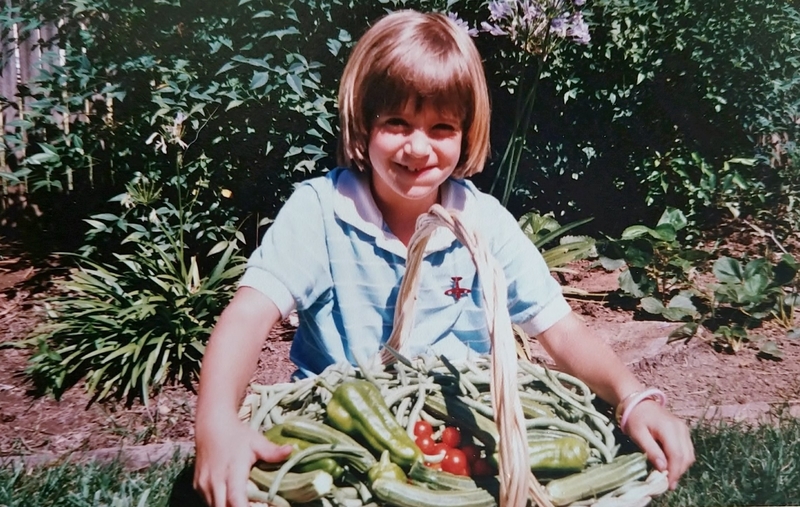 This dedication to volunteering and love of gardening is passed on in many families, resulting in multi-generational UC Master Gardener volunteers like Camille White and her mother Pat Bremmer. Camille and Pat are a mother daughter volunteer duo with a combined 25 years of volunteer service with the UC Master Gardener Program of Sutter-Yuba Counties. 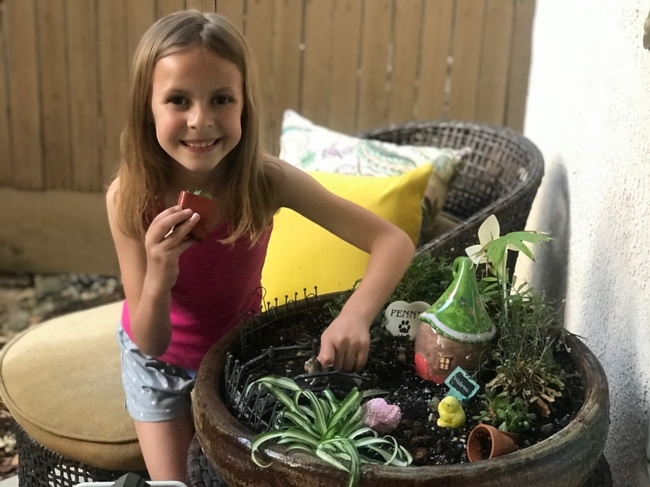 “I love all kinds of plants and flowers and with much help from my mom I joined the UC Master Gardener Program…She (mom) is such an amazing talent when it comes to plants,” said Camille. They both volunteer to work the office hotline and attended the 2014 UC Master Gardener conference together in Yosemite. 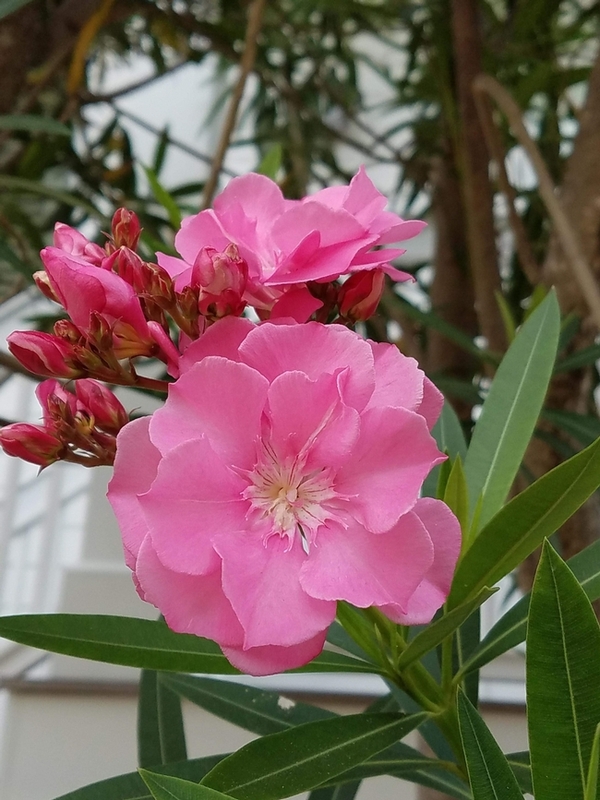 They just recently returned from a cruise where they had time to admire a Double Oleander in Key West Florida. Gardeners excel at sharing so it comes as no surprise that they not only share their gardening know how but also their plants. Whether gardeners grow too many plants, tomatoes or zucchini they can always find homes for them, well maybe not the zucchini. 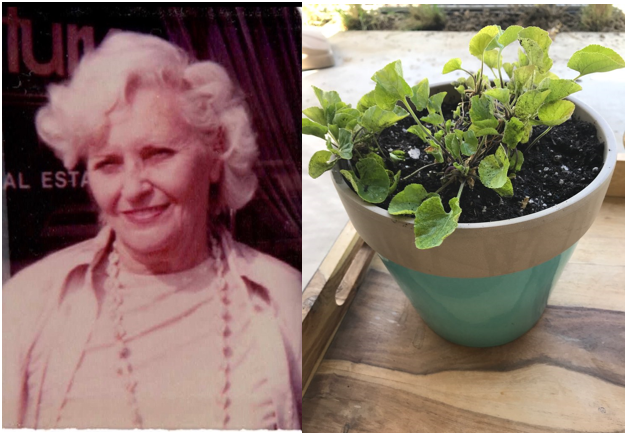 Elizabeth Middleton, of Seal Beach, Calif. was gifted with violets from her husband's grandmother, Karen Hardy, who received the violets from her own mother. Elizabeth and her family have been lovingly keeping them alive and moving them from home to home since 1976. The violets have struggled from time to time with the climate conditions and new locations however they have been divided and distributed to more family throughout the years. Four generations have grown these particular violets, the nostalgia they bring is one of peace and love, that all is right in the world for the family. 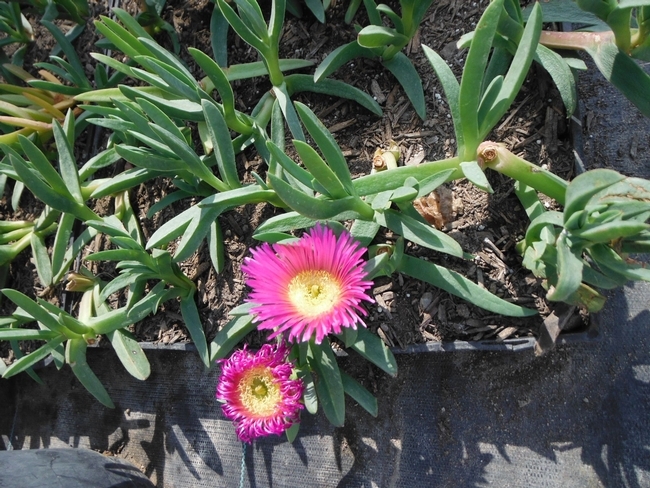 Planted in a pot, or in the landscape this special flower is something to be nurtured. Gardening with others can create positive connections and cultivate a closer relationship between people and the environment. Gardening also engages all the senses, enhances fine motor development, teaches patience and offers unique learning opportunities. Thank you to all whom have shared their love of gardening, extra plants, been and continue to be that special influence in someone's life. You have helped someone realize that nothing tastes better than fresh tomatoes from their garden or that planting a tree and watching it grow is amazing. A tip of the trowel to my grandmother and mother this Mother's Day who gave me my start in gardening. Without their influence, care and patience I would not have gone through UC Master Gardener training and become a volunteer, nor would I be making a career in a field that I love! While the UC Master Gardener Program has been around since the 1980s, thankfully our technology has changed with the times. 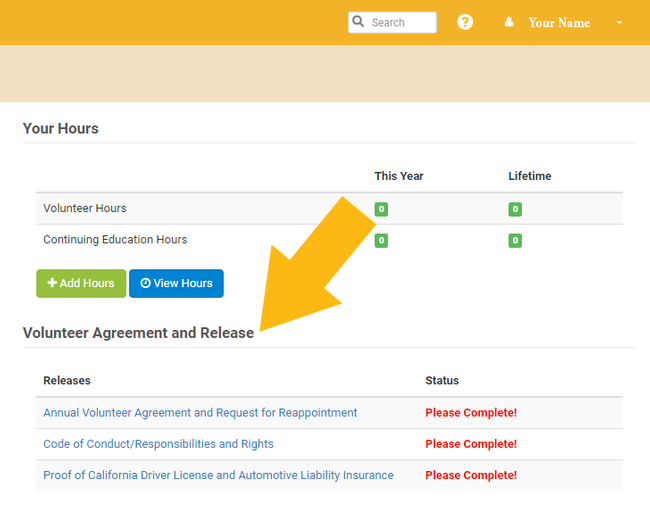 Most recently, the Volunteer Management System (VMS) received its long overdue upgrade – we've launched version 3.1! VMS 3.1 has a responsive design for tablets and smart phones, making it easier to navigate and enter hours from the field. Great feedback was collected from volunteers and coordinators to lay the foundation for the new system. VMS 3.1 maintains all the functionality of the old system with up-to-date branding and design. Additionally, VMS 3.1 has many of the new features YOU requested. New features and upgrades were added to enhance the system, based on feedback from counties across the state. 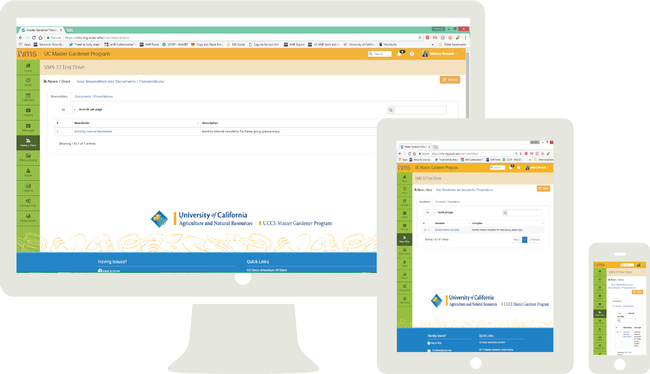 It's exciting to have a system designed specifically to meet the needs of the UC Master Gardener Program. Enjoy the new features built just for you! 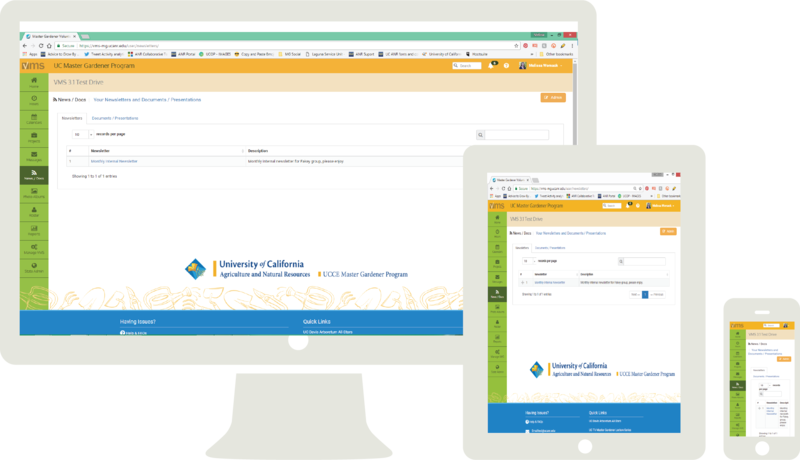 If you have any feedback for future improvements, please submit your comments through the Feedback Survey at ucanr.edu/vmsfeedback. If you have any questions about the new system, help is only a click away. Check out our VMS help page, which includes a new VMS User's Guide and How-To videos for commonly used functions. See for yourself at: ucanr.edu/sites/vmshelp. The UC Master Gardener Program and its volunteers have been a key partner in PlantRight's annual Spring Nursery Survey since its inception in 2010. Last year marked the 8th year of the Survey, and thanks to UC Master Gardener volunteers, it was a huge success! 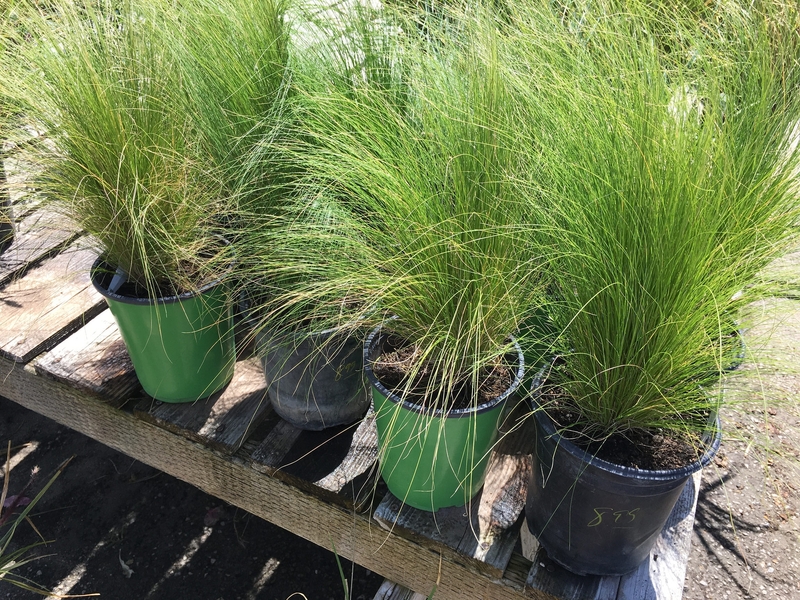 According to PlantRight's Spring Nursery Survey Fact Sheet, the rate of nurseries selling invasive plants continues to decline. In 2014, 44% of nurseries surveyed were selling locally invasive plants; this rate dropped to 35% in 2015, to 31% in 2016, and 29% in 2017. Of the nurseries that were selling any invasive plants in 2017, only 8% had more than one species of invasive plant for sale. This is down from 2016, when 10% of stores (that sold any invasive plants) had more than one invasive plant for sale. Mexican feathergrass (Stipa tenuissima) was a wildly popular invasive plant being sold in nurseries across Calif. (Photo credit: PlantRight). PlantRight will not be conducting the Spring Nursery Survey in 2018. This one year break from the survey allows PlantRight to make a more concerted statewide outreach effort to landscape professionals (e.g. architects, designers and contractors), and the most influential water districts promoting sustainable landscaping. Successfully engaging these professionals and districts will accelerate PlantRight's work to keep invasive plants off California wildlands and promote climate appropriate alternatives. That's because these groups have significant influence on the nursery supply chain -- what horticultural growers grow, what plants get specified in landscape design, and the plant material that contractors source. Engaging water districts is a cost effective way to educate members of the gardening public, especially those interested in replacing thirsty lawns with lovely looking, climate appropriate landscape plants. This pause in surveying is in no way a pause in planting right. 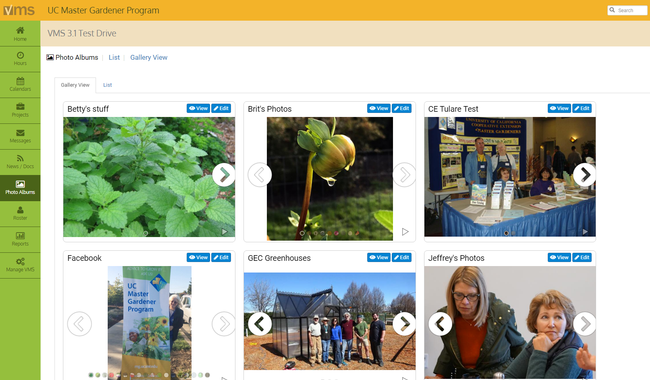 PlantRight.org remains a trusted resource for UC Master Gardener volunteers. Engage with PlantRight on social media, including: Facebook, Twitter, YouTube, and Instagram. Let PlantRight know about any good works or upcoming events so that it can share your news and announcements on social media or in its email newsletter. 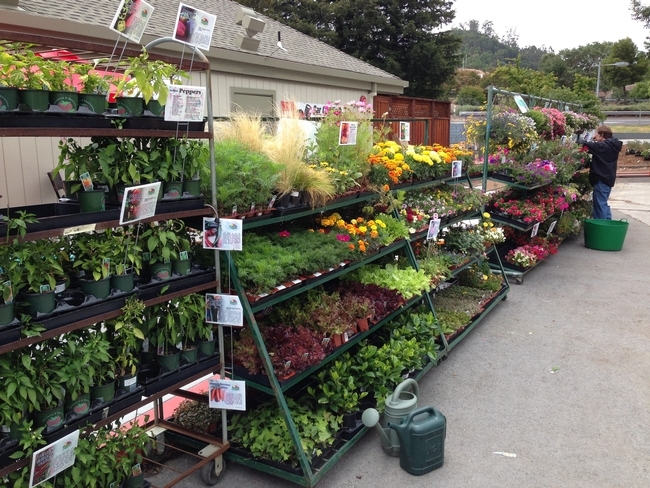 You can support PlantRight's Retail Nursery Partners by shopping at their stores. Volunteers interested in learning more about invasive ornamental plants in California can still earn continuing education hours by completing PlantRight's Continuing Education Program. The online format makes it easy for anyone with an account to participate. After completing the curriculum, participants can pass a 12-question quiz and earn a certificate of achievement. PlantRight is committed to being UC Master Gardener volunteer's go-to resource for science-based information about horticultural invasive plants. UC Master Gardener volunteers and coordinators can contact PlantRight anytime with questions, PlantRight@suscon.org. The UC Master Gardener Program plays a critical role in extending research-based information to the public and simply put, we could not do it without people like you. Extend sustainable landscaping practices to more than 2.1 million people in California! Support more than 1,000 demonstration, community and school gardens around the state; creating beauty, outdoor classroom training opportunities, and increasing science literacy in schools, jails, hospitals, senior centers and more. Combat food insecurity in our local communities by giving people the skills and knowledge to grow their own healthy fruits and vegetables. 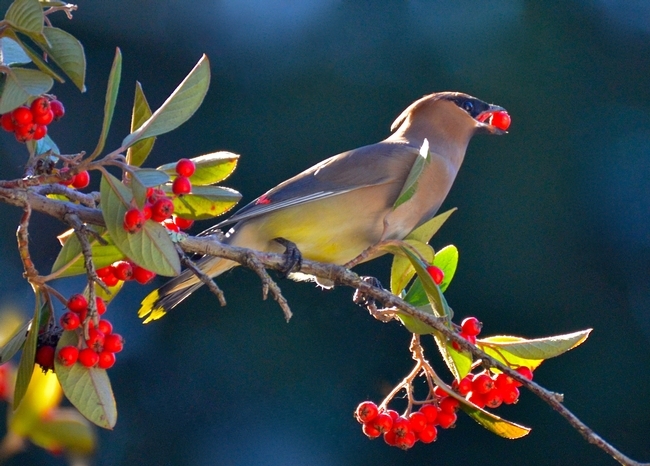 Reduce pesticide use and inspire habitats for pollinators and other beneficial insects. While we've had an incredible year as a program, we've also seen devastating loss with the fires that burned and continue to burn across California. We will continue to come together as a community and support one another, especially as our friends and colleagues deal with the overwhelming loss of their homes and property damage. During the holiday season of giving, those interested in providing support can submit their contact information into the UC Master Gardener Fire Relief survey and be connected to local programs in need. Looking into the future we will work together to rebuild the gardens, landscapes and the communities we serve. As we embark in the New Year we sincerely appreciate your efforts and thank you for the work you do to support the mission of the UC Master Gardener Program.